Designing for rough environments shouldn’t mean rough aesthetics, though many an industrial tablet has succumbed to this mantra. The iMobile IB-8 breaks that mould without sacrificing its industrial roots. 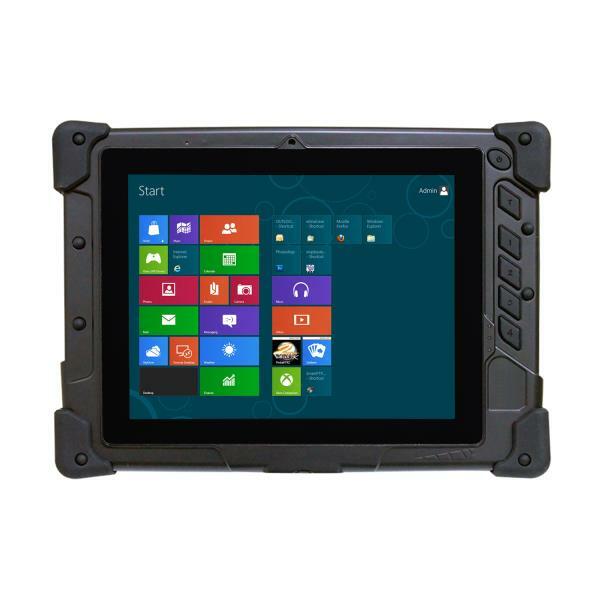 Favouring an XGA 8″ display with projected capacitive touchscreen, with 700 cd/m2 sunlight readable brightness levels makes the IB-8 perfect for exterior applications. Both graphical and processing performance is provided in abundance via the quad core Bay Trail Intel Atom, at remarkably low power consumption boosting its battery life to 10 hours. The IB-8s core strength is in its expandability, with barcode scanner, magnetic strip, smart card and RFID readers, alongside dual front and rear cameras. With its fully IP65 dust and liquid protection and fully fanless design, the IB-8 offers the perfect blend of aesthetics, ruggedness and reliability to replace paper alternatives in any conceivable scenario.